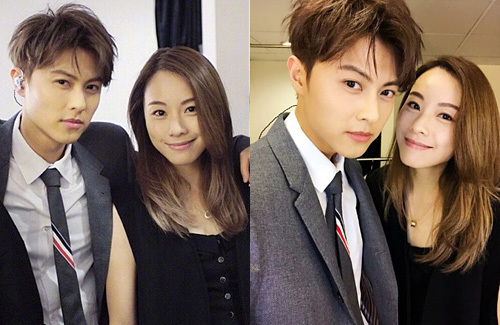 The dating rumors between Stephy Tang (鄧麗欣) and Prince Chiu (邱勝翊), turned out to be true after all! At a function today, Stephy admitted that she is dating the former Lollipop star, but asked the media to give them space. Last month, reports emerged that Stephy and Prince had vacationed to Thailand together. Prince reportedly attended a Mother’s Day celebration with Stephy’s family, proving that their relationship is very stable. This is Stephy’s first publicly acknowledged relationship since ending her 10-year relationship with Alex Fong (方力申) in 2016 after disagreement over marital views. Yay!! Happy for this two and 5 years apart that’s nothing just like the rest older woman with younger man for an example: Tavia and Him, Ruby and Wallace, Yoyo and Vincent.